There are thousands of players in the Canadian aerospace industry, most of them flying under the radar as they try to build a solid client base along with a reputation as a reliable supplier. Many of these firms reside in Quebec, where more than 200 aerospace companies generated more than $15.5 billion in sales in 2015. And while much of the aerospace attention in Quebec is garnered by major aerospace leaders such as Bombardier Aerospace, Pratt & Whitney Canada, Bell Helicopter Textron Canada and CAE, the world’s third-largest cluster is driven by some 40,000 employees who create some of the most diverse and cutting edge aerospace products in the world. To highlight the province’s aerospace depth and influence, Helicopters has identified a selection of small but potent aerospace firms making noise here and on the global stage. L-3 MAS, Montreal L-3 MAS is Canada’s leading In-Service Support (ISS) integrator and recently celebrated its 30th anniversary. The company provides innovative and integrated solutions, spanning fleet and life-cycle management, Electronic Information Environment (EIE) applications, systems engineering, maintenance, material management, publications and data management and the full spectrum of ISS solutions, to maximize customer platform effectiveness. It also offers turnkey solutions for the design, prototyping, manufacture, repair and overhaul and certification of aerospace components. The company, originally known as Canadair Defence Services, was formed in October, 1986 after winning the Government of Canada’s long-term maintenance contract for the CF-18 Hornet. After being acquired by Bombardier and then sold to L-3 in 2003, the company now operates under the name L-3 MAS. Over the years, the company has differentiated itself from its competitors by expanding its range of services and becoming the leading ISS integrator in Canada. The business has also been recognized worldwide for its competencies in repair and maintenance of F/A-18 Hornet fighter jets. The strength of the Quebec aeronautical engineering community has contributed to its ability to develop innovative solutions, both for Canada’s Department of National Defence and for international F/A-18 operators. Its customers include Australia, Switzerland, Finland, Spain and the United States. Building on those strengths, L-3 MAS will benefit from the Federal government’s announcement to purchase 18 new Super Hornets to augment the RCAF’s aging CF-18 fleet. Boeing signed a memorandum of understanding (MoU) with L-3 MAS in late November under which the companies will collaborate on production and support of the new Super Hornet fleet. Based at Mirabel International Airport, L-3 MAS employs more than 700 people across Canada and has operating centres in several cities across Canada, including Bagotville, Cold Lake, Trenton, Petawawa, Ottawa and Shearwater. 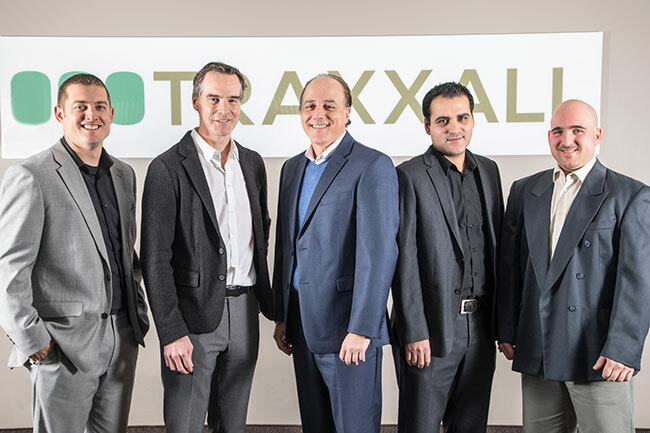 TRAXXALL Technologies, Montreal TRAXXALL executives maintain the firm delivers the most innovative aircraft maintenance tracking system on the market today – and they just might be right. Founded in 2013, TRAXXALL has sales and support staff across the U.S., and a sales office in London, serving Europe, Middle East, Asia and Africa. It launched its new Inventory Management Module (IMM) at the 2016 NBAA Business Aviation Convention & Exhibition in Orlando this past November. The product modernizes and simplifies the inventory management of components used in business aircraft maintenance. It is also actively trying to grow it’s rotary-wing business. IMM improves aircraft maintenance work flow by simplifying the creation of purchase orders, accelerating the receipt of new parts and providing superior transparency of inventory status across multiple locations. Fully integrated with TRAXXALL’s aircraft maintenance tracking system, IMM allows operators to reduce aircraft downtimes during scheduled maintenance milestones. TRAXXALL developed its cloud-based IMM which requires a password to access an operator’s data and uses the information to track and better plan their maintenance, explained Steinbeck who works out of Denver. 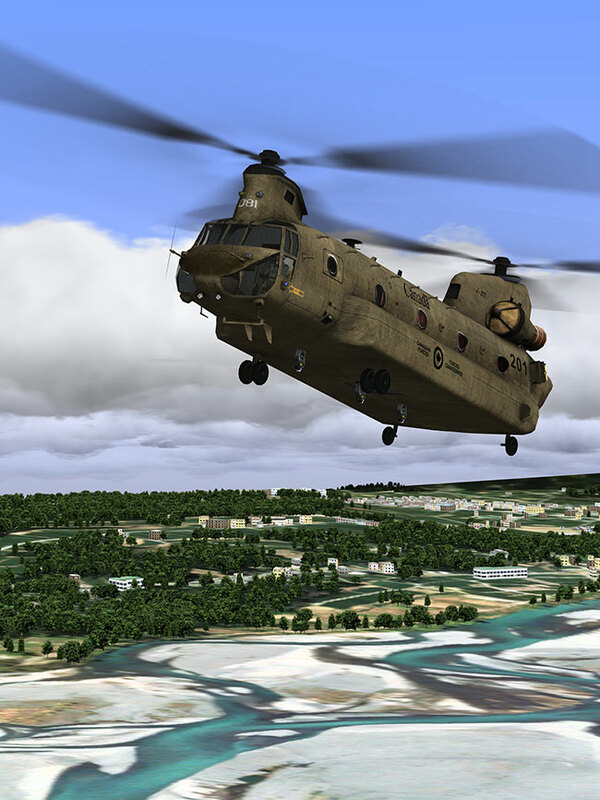 With some 500 aircraft customers, including helicopters, TRAXXALL is relatively small compared to 40-year-old leader Camp Systems with 18,000 aircraft and 12-year-old Flightdocs with 2,000 aircraft. But it’s adding about 25 aircraft a month to its client list. TeraXion, Quebec City TeraXion designs, manufactures and markets best-in-class photonic products to selected emerging markets including high-speed fiber-optic transmission networks, fibre lasers and optical sensing applications. It has diversified into the aerospace and military markets and is one of five companies selected by the Quebec government to participate in the second phase of an initiative called the Greener Aircraft Mobilizing Project or SA2GE. The company joins a list of heavy hitters, namely Bombardier, CAE, Esterline CMC Electronics and Thales Canada. The five selected participants will harness the resources of small and medium-size enterprises (SME) in Quebec’s aerospace sector, as well as universities and research centres, to develop innovative technological solutions. The work will focus, among others, on manufacturing, avionics, optics and analyzing big data. The commercialization of products and services that will result from these technologies will facilitate adaptation to new environmental standards and a reduction in greenhouse gas (GHG) emissions in aerospace, in Quebec and internationally. TeraXion will develop an integrated photonic radio frequency (RF) module for airborne systems of communication. It can transmit, receive or convert RF signals by using Optics. Apart from expanding the bandwidth limits of RF systems, the module will replace coaxial cables in aircraft by much lighter optical fibres. In addition, TeraXion will develop an integrated multifrequency laser source for a next-generation navigation system. This will significantly reduce the weight of the gyroscope. “The potential for these innovations is very important, particularly in terms of reducing greenhouse gas emissions. 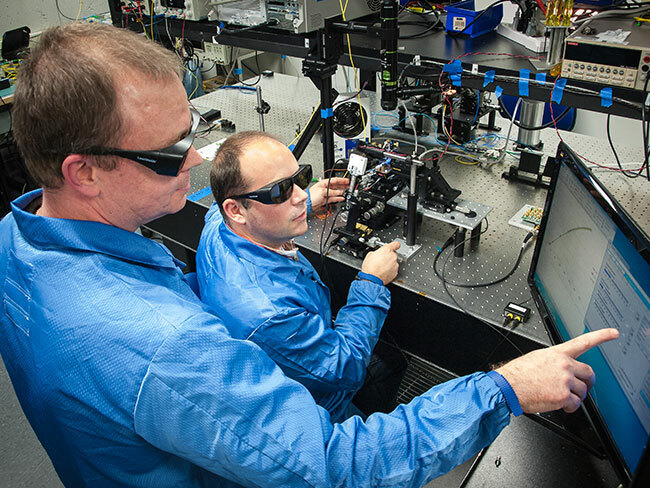 We are confident of the success of TeraXion as it has more than fifteen years of experience in designing and manufacturing high performance photonic modules for the telecommunications, fibre laser and remote sensing markets,” said SA2GE director Dominique Sauvé. The SA2GE project is part of so-called “mobilizing” projects for Quebec. It was established in 2010 by the government as part of the Quebec Research and Innovation Strategy (QRIS). The first phase involved six large companies, 28 SMEs, and 16 universities and research centres in Quebec. The economic impact will be significant because in 10 years’ time, the commercialization of the technologies developed through Phase 1 is expected to generate the equivalent of 6,000 job years for a total of $2.8 billion in sales in Quebec. The development of innovative products and processes continues to shape the aerospace industry in Quebec. Here are seven companies hitting about their weight in the development of new and unique aerospace initiatives. Abipa Canada offers high-precision machining, mechanical assembly and kitting of engine, landing gear and structural components in complex steel alloys such as aluminum, titanium, inconel and steel. Its customers consist of OEMs, equipment manufacturers and integrators. Groupe DCM is one of the main designers and manufacturers of aircraft maintenance tooling and ground support equipment for commercial and military aviation in North America. It is an authorized manufacturer for Bombardier Aerospace and Boeing Commercial Airplanes and maker of spare parts, various components and sub-assemblies for aerospace, transportation and other international industries. Groupe Meloche specializes in precision machining, surface treatment, painting and assembly and manufacturing engineering for the aerospace and defence industries. In 2015, it signed a 10-year agreement worth up to U.S. $30 million with Pratt & Whitney to supply oil nozzles and pump plates for the company’s next-generation PurePower PW1000G engines. Like Nétur, it was awarded “Supplier Gold” certification from United Technologies Corporation. Nétur is a tier one manufacturer of jet engine components and assemblies with commercial and defense customers globally. It is a vertically-integrated manufacturer with in-house capabilities for machining, processing and assembly. The company’s main activity is the machining and manufacture of mechanical parts and sets for the aeronautics industry. Nétur was recently awarded Supplier Gold status by United Technologies Corporation. Optimum Canada specializes in designing, manufacturing and sharpening of cutting tools used for high precision machining of various metals and composites for the aeronautics industry. It also provides a coating service that creates a harder surface to increase the durability and extend the lifespan of cutting tools. RTI Claro was recently purchased by Alcoa Titanium and Engineered Products. The company produces and integrates aluminum, steel and titanium machined components and complex mechanical and electrical assemblies for the aerospace and transportation sectors. The components are used in structures, hydraulic systems and pilot flight controls. Thermetco specializes in heat-treating throughout the metallurgical industry. Treatments for the aerospace sector include quenching and tempering, cryogenics, nitriding, annealing and carburizing and carbonitriding. In addition to heat-treating, it offers services in non-destructive testing, metallurgical testing and consulting services and training. In 2016, the company received a “Grande Mention” in the independent SME category for quality in the Grands Prix québécois competition.